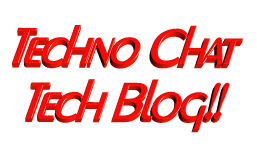 windowsimage | Techno Chat|Tech Blog!! The reason behind writing this article is to use my Laptop (having Intel i3 4th Gen and 8 GB of RAM) as my LAB for testing new Windows Server 2016 TP4 and to do that I have to use boot from VHD option. There are multiple ways to boot your system from VHD but I don’t find a simple and effective one. Second reason is I wanted to boot the Windows Server 2016 TP4 with GUI (aka Desktop Experience), coz I like the new Windows GUI. First, you have to download the Windows Server 2016 TP ISO from here. Once downloaded, extract the ISO content to a folder (I have extracted to C:\MyData\WinSvr2016). Now you have to create a VHD and mount it with any available drive letter (I selected V). Use the following set of command one by one from PowerShell or Command prompt with administrative privilege. Posted in Admin Tools, Scripts, Server, Windows. Tagged bcdedit, boot from VHD, Boot to VHD, Boot to VHD (Native Boot), Boot VHD, Create Native Boot VHD, Deploy Desktop Experience, Deploy Windows Server 2016 to VHD, Deploy Windows to VHD, Desktop Experience, DISKPART, Evaluate Windows Server Technical Preview with Boot to VHD, Evaluate Windows Server Technical Preview with Boot to VHD Desktop Experience, Expand-WindowsImage, Guide: How to install Windows 10 using VHD, How to Create Windows 10 VHD, How to Create Windows 8 VHD, How to use a VHD to dual-boot, Mounting VHD Files with DiskPart, Native Boot VHD, windowsimage.